Look who's back in the Kapuso network. (SPOT.ph) After plenty of Internet speculation and some not-so-subtle hints from GMA Network, a report from 24 Oras has confirmed that broadcast journalist Atom Araullo is officially part of the network. The news comes after Araullo announced on September 15 that he was leaving ABS-CBN after 10 years. His colorful career had him hosting current affairs shows like Umagang Kay Ganda, Red Alert, and Hiwaga. He also reported for programs like Bandila and TV Patrol, while dabbling in documentary filmmaking and a travel-themed show for Lifestyle TV. Araullo's move to GMA Network isn't new, considering the fact that his career actually began there (and we don't just mean 5 and Up). His earlier stint was actually a regular sports segment for 24 Oras. 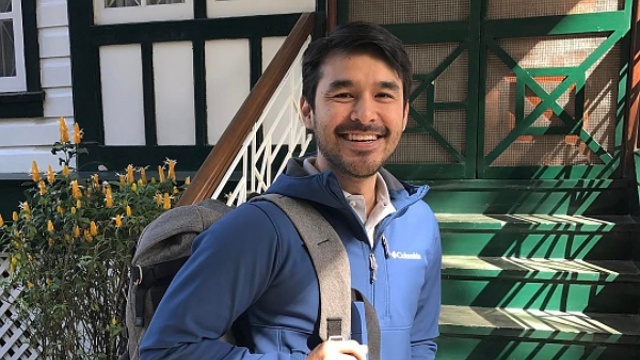 According to the report, Araullo will return to doing documentaries with the network, particularly for the long-running documentary series, I-Witness. He is also slated to hit the big screen for the first time in Mike de Leon's comeback film, Citizen Jake.